Bookstore Gift Card donation campaign. For more information about Retriever Essentials visit their website. in our March Merch Madness Bracket! Voting for the Sweet Sixteen March 4 - March 7. Winners announced on March 8th and will be 20% off! Voting for the Elite Eight March 11 - March 14. Winners announced on March 15th and will be 20% off! Voting for the Final Four March 18th - March 22nd. Winners announced on March 22nd and will be 20% off! This will be online only as the Bookstore is closed due for maintenance. Voting for the Championship round March 25 - March 28. Winners announced on March 29th and will be 30% off! Swing into our Spring Fling Sale and order your school bling! 50% OFF ALL clearance merchandise! Join us for our 5th Annual Spring Egg Hunt within the Bookstore! Friday, April 19th at noon! We will be hiding 50 eggs throughout the store for you to find. What will you find inside this year? Limit one egg per person. While eggs last. The Bookstore is not associated with eggs found outside of the store. *May not be combined with any other current promotion running. Offer excludes diploma frames, books, gift cards, electronics, school supplies, clearance items, health & beauty products, and previous purchases. While supplies last. 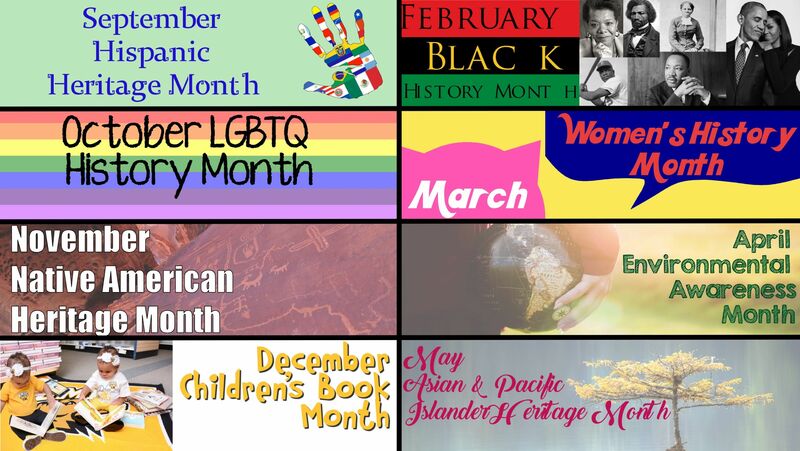 UMBC Bookstore celebrates heritage/history months with 30% OFF related titles!